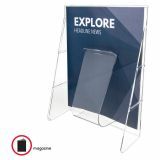 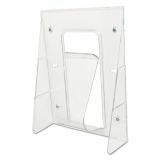 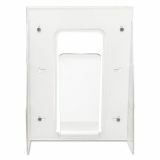 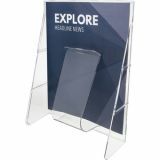 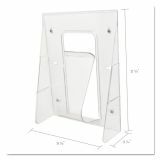 deflecto Stand-Tall Wall-Mount Literature Rack, Magazine, 9 1/8 x 2 3/4 x 11 3/4, Clear - Convenient display rack with single pocket is designed for magazines, pamphlets and brochures. Clear holder is break-resistant. 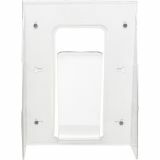 Tension brackets hold contents upright. 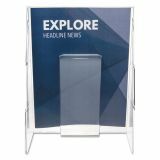 Mounts on wall or stands alone on countertop (no legs needed). 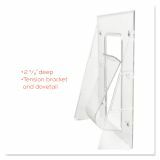 Linking mechanism on each side enables you to interchange sizes to create a customized system. 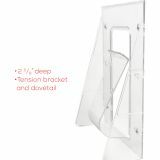 Embedded groove prevents sheets from sliding. 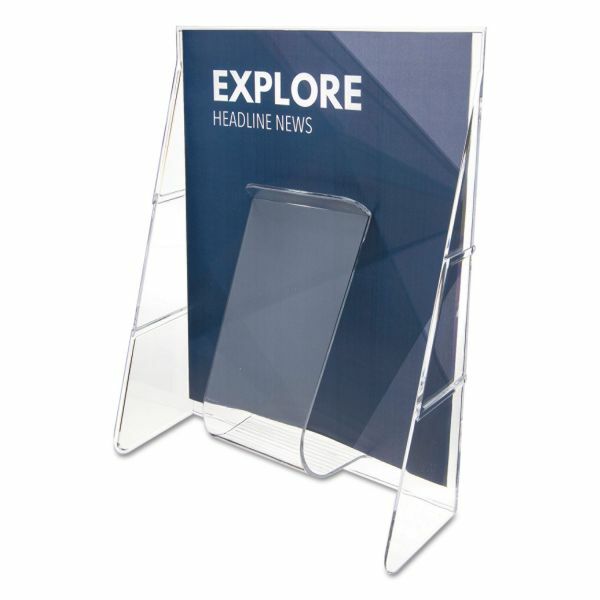 Display rack includes mounting hardware.